Greymouth contracting firm Truline Civil is a family company that mixes both a long and proud history on the West Coast with a keenness to adopt new technology and skills to get the job done. I discovered more than I bargained for the day I visited Truline Civil's yard at the eastern fringes of Greymouth. As it happens, I spent a bit of time growing up in this West Coast town in the 1980s. Back then it was a lot different to the bustling wee tourist centre it feels like now, though — the only tour buses crowding the main street 30 years ago were full of visiting rugby teams and the nearest thing to a fast food chain was what you used to secure your bike to the post outside the fish and chip shop. Heading to see Daniel Powell and his team at the Truline Civil yard, I even discovered an entirely new subdivision along the way, full of handsome new homes, that wasn't there the last time I was in town. That sort of discovery speaks volumes about Greymouth's fortunes. It's a town (and the West Coast a region) that has had its share of hard times and misfortune. But it always bounces back and local contracting firms like Truline Civil not only remain busy, but actively seek to innovate and expand as well. A combination of dairying and tourism keeps things ticking over — the locals reckon the Coast never does boom or bust, but just tracks steadily along. "There's no doubt that the closures at the Pike River and Spring Creek mines have affected the town. But there are gold-mining projects establishing themselves at Ross and Reefton, and tourist numbers are up. I think overall there is still a lot of positivity in town," says Powell. The company is a family affair and began life as Truline Drainage in 2005 when it branched off from Coastal Constructors. 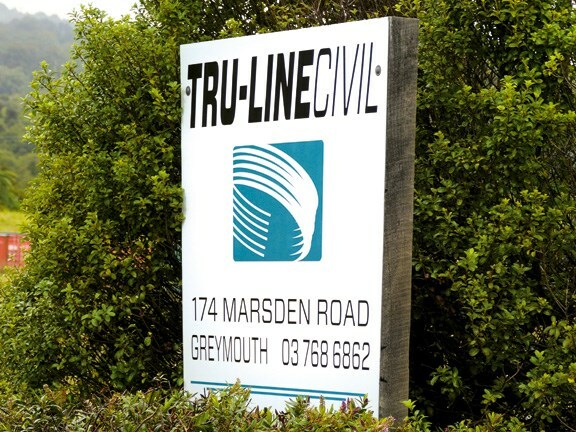 Later on at the end of 2011, by arrangement with Geoff Powell (the previous owner of Coastal Constructors), Truline started providing further construction services, re-branding as Truline Civil Ltd.
"We went from a straightforward drainage company to being able to offer a lot more," Powell tells me. 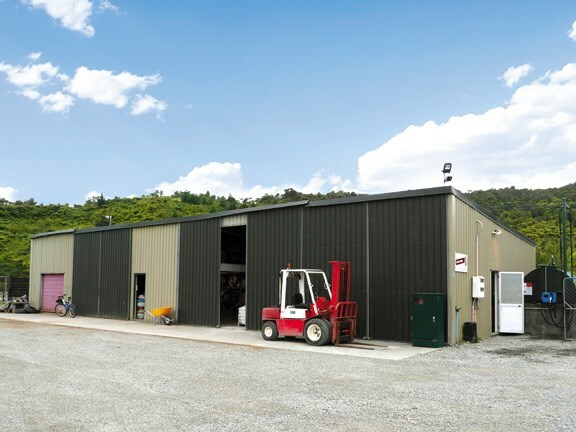 "So the shift was from quite a narrow focus to a much broader one, incorporating roading infrastructure, earthworks, bridge building, piped sewer and storm water installation, cable installation, and directional drilling." Powell says the company has around 200 bits of kit all told, including two-axle trucks and smaller plant (such as the Bomag BMP 8500 multipurpose compactor we profiled in Deals On Wheels, issue 244), and although West Coast-based, it'll never hesitate to go where the work is. "Naturally, we are over in Canterbury a fair bit these days, and we're also undertaking Ultra-Fast Broadband (UFB) fibre installation work in Nelson. Closer to home, we've also won the contract to install UFB fibre throughout Greymouth's CBD, which is happening right now." Projects of note this adaptable company has been heavily involved with also include remedial work at pumping stations and impermeable membrane lining work within reservoirs, along with the construction of large scale concrete reservoir tanks for urban water supply and well-point dewatering for deep piping systems. 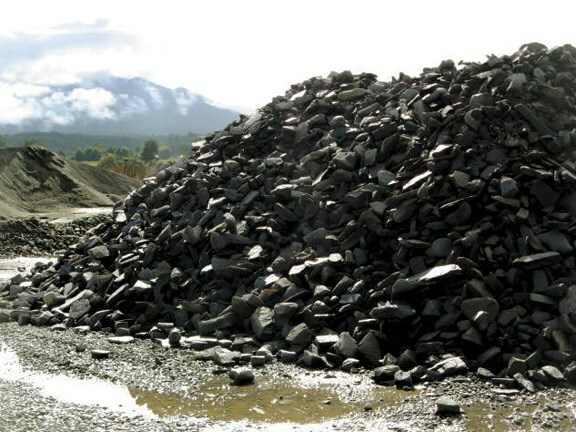 As I learn, Truline Civil has also moved into aggregate screening under the WestStone brand. 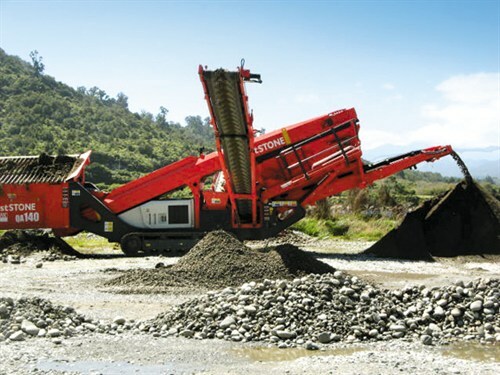 "We've recently purchased a Sandvik screen which we operate on the banks of the Grey River. The screen's operator, Jim Gallaway, is really pleased with that particular piece of equipment," says Powell. Perhaps underlining the company's propensity for seeking out new challenges and new technologies, Powell says he was impressed with the Sandvik screening unit's state-of-the-art design. 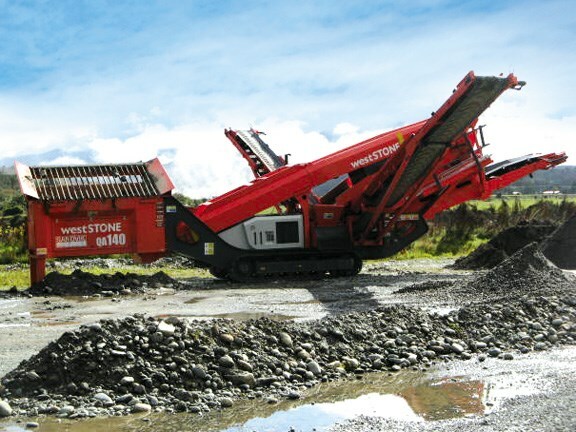 In addition to its robust construction, the screen's tracked setup helps with on-site manoeuvrability. "The screen is pretty compact, which helps with the site we're currently working along the banks of the Grey River. But it still has a heap of grunt, which we're very happy about." 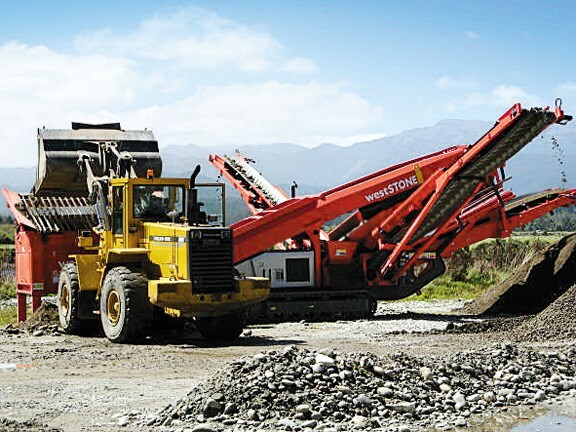 So while the face of Greymouth — and the wider West Coast region — continues to change, riding on the fortunes of primary industries working both above and below ground, companies such as Truline Civil will continue to service the area, ever willing to adapt and utilise a wealth of experience as the job necessitates. 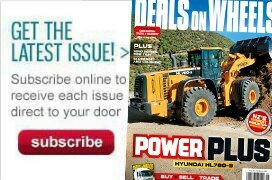 For the latest news, reviews and features, subscribe to our Deals On Wheels magazine here.